Sew what's cooking with Joan! : Horseradish mashed potatoes! 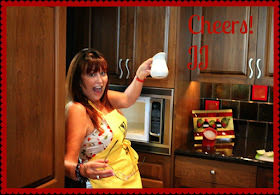 Just in time for Christmas, I am offering a recipe you will use again and again! I can't say I've turned my nose up at any mashed potatoes, but these mashed potatoes take it to a new level! 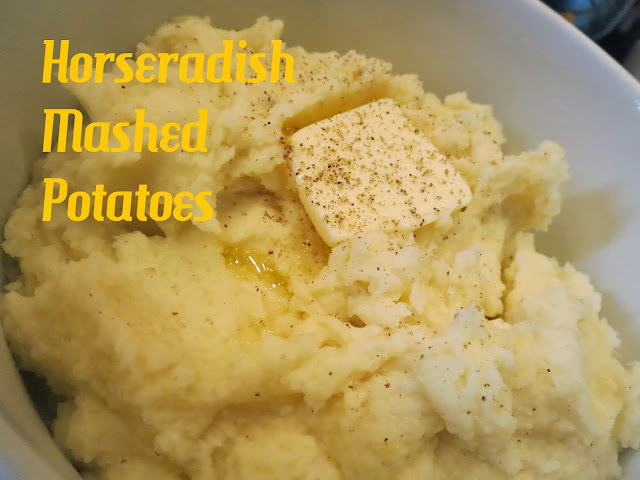 This recipe for horse radish mashed potatoes will become a regular! Perfect to serve along side your Christmas Prime Rib, steaks, roast beef, or braised short ribs. The horseradish gives this mashed potato recipe a wonderfully spicy kick. Yummmmmmmy! Cover potatoes in salted cold water and bring to a boil. Turn down to a simmer until tender, about 25 minutes. While potatoes are simmering, microwave half and half, butter, salt and pepper for a minute to melt the butter and warm up the milk. 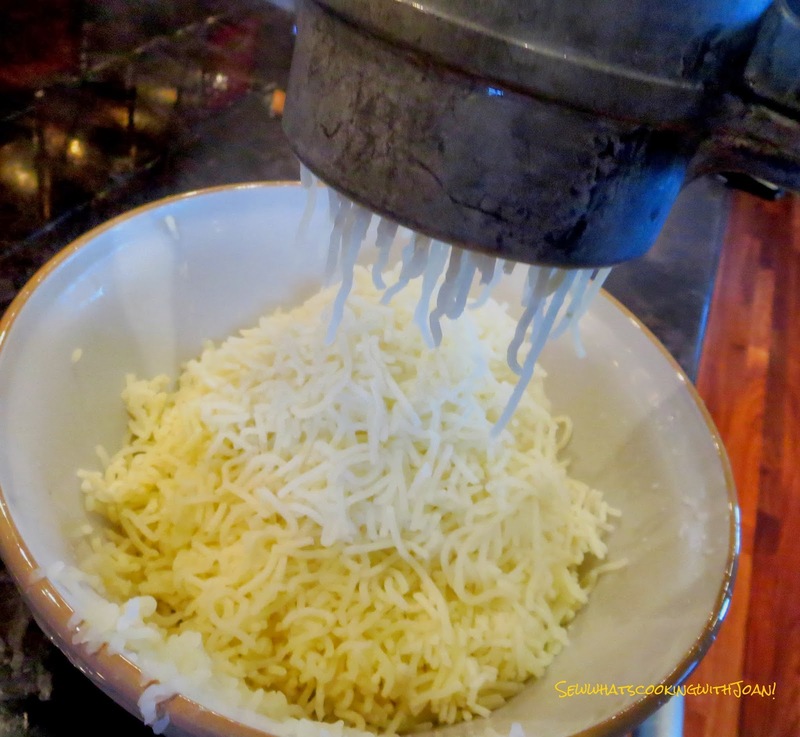 Drain the potatoes and immediately put through ricer, then add milk and horseradish. 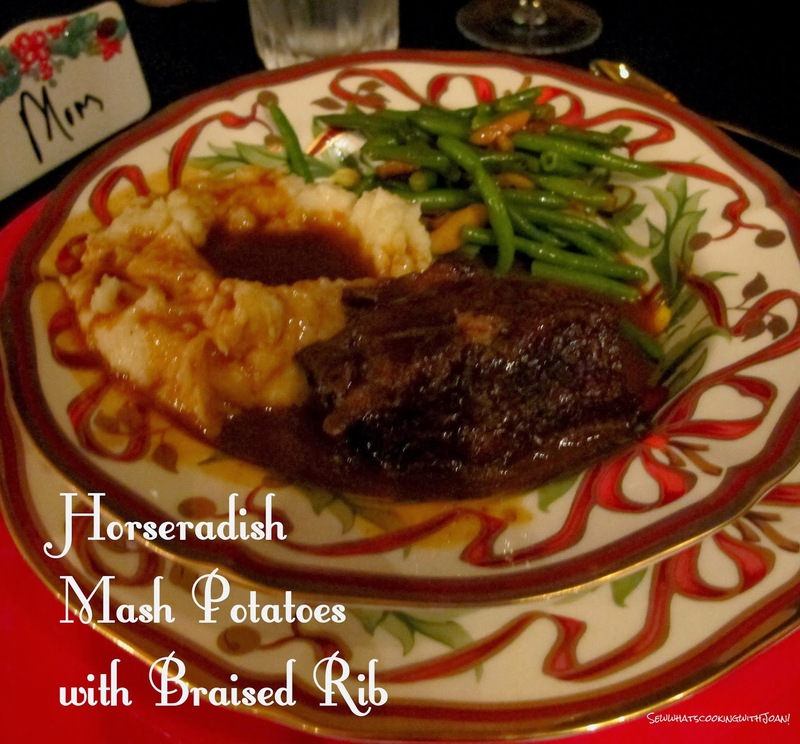 For Christmas Eve or even Christmas day, Braised Ribs along side of Horseradish mashed potatoes, will make your guest feel like they are tasting potatoes for the first time! Simply incomparable! This meal is practically fit for a KING! These potatoes are tangy, creamy and even more addictive than regular mashed potatoes...proceed with caution!! Beautiful Madison and Holly with me on Snoqualmie Pass! super cool app! love love love this pic the most!